Meridian High Performance Floor Finish provides increased durability and high appearance levels to resilient floors. Formulated to provide surface protection, scuff and rubber burn resistance with the ease of maintenance. 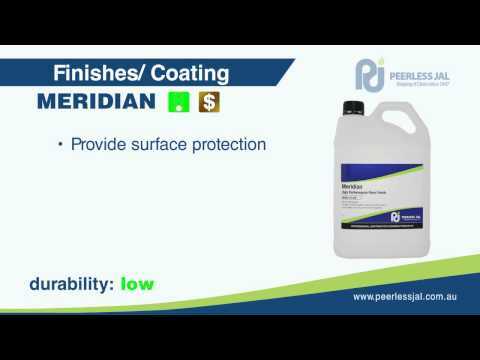 Meridian High Performance Floor Finish is suitable to most Maintenance programmes in combination with Automatic Scrubbing and Ultra High Speed Burnishing or Manual Mopping and Low Speed Buffing. Ideal for Schools, Department Stores and Commercial Buildings.